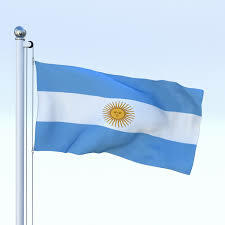 In Argentina, medical devices are regulated by the ANMAT (National Administration of Drugs, Food and Medical Technology). This body (similar to the American FDA), under the Ministry of Health, monitors the quality of all manufactured products that could generate a risk to human health. The Directorate of Medical Technology (DTM) within ANMAT, is responsible for ensuring the safety and effectiveness of medical devices. To do this, it works on national regulations, specifically the Law 16463 of 1964, which remains in force, although it has been developed and evolved in multiple subsequent regulations. In addition, there are various provincial regulations on medical technology, which can also complete the law in different provinces. In general, subjects of this law are the activities of: import, export, production, processing, fractionation, marketing or deposit in the local jurisdiction and into interprovincial trade all diagnostic elements and all products used and applied in human medicine and people. To perform these activities, ANMAT previously requests authorization from the Ministry of Social Welfare and Public Health, in enabled establishments, and under the technical direction of a college graduate, previously enrolled in the ministry, who is responsible, along with the authorization holder, for the quality and legitimacy of the products. Importers, under certain conditions, can apply their own authenticated manufacturing licenses in the origin Country at the Ministry. Thus, it would not be necessary to perform the procedure again. Also, companies that want to distribute their products in Argentina, must comply with the standards of Good Manufacturing Practices (GMP). The regulatory agency inspects the facilities, and audit compliance with these standards. For importers, the applicable requirements are slightly different than for manufacturers, but it is necessary to have a storage place that meets the requirements of the standard. In any case, you can substitute a GMP certificate issued in the country of manufacture, always under the subjection of ANMAT. Regardless of company registration, each manufacturer or importer must register their medical devices. The arrangement 2319/02 (TO 2004) provides requirements for importers or manufacturers of medical devices. There is an exception to these requirements; if the company performs activities only to wholesale or retail, it is not necessary to make these registrations (except for in vitro diagnostic reagents, they do need to be registered); it is not the case of importers, although their products are not manufactured in the country, but put on the market, and therefore are considered manufacturers.